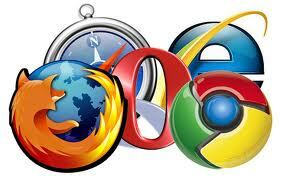 As online students, your web browser is your portal to studies. It is also your means of communicating between your teachers and fellow students. So if your browser is slow, your productivity suffers. Now, we all know that over time, your browser will pick up add ons and other things that slow it down to speeds far below what it was capable of when first installed. That is an issue of maintenance. But the underlying speed of the browser, in its optimum maintained condition, is another story. Assuming you take steps to regularly clear your browser cache and disable unused add ons, your browser should operate at or close to its originally configured speed. Some browsers are just naturally faster than others.Well, LifeHacker recently tested the most popular browsers’ latest versions including Firefox 7, Chrome 14 and Internet Explorer 9 (among others). The results are pretty interesting. And since they’re all free to download, perhaps you might be interested in installing a faster browser if your’s is on the bottom of the list. Read the entire test results here.